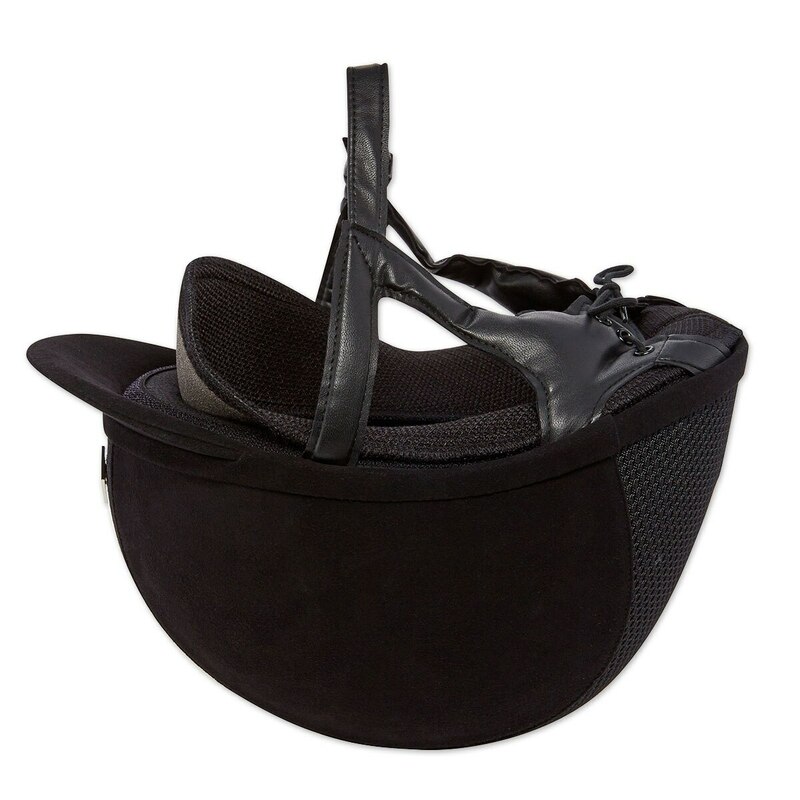 The Custom Charles Owen AYR8 Plus Helmet is the same great AYR8 helmet that riders love, now with a removable liner! 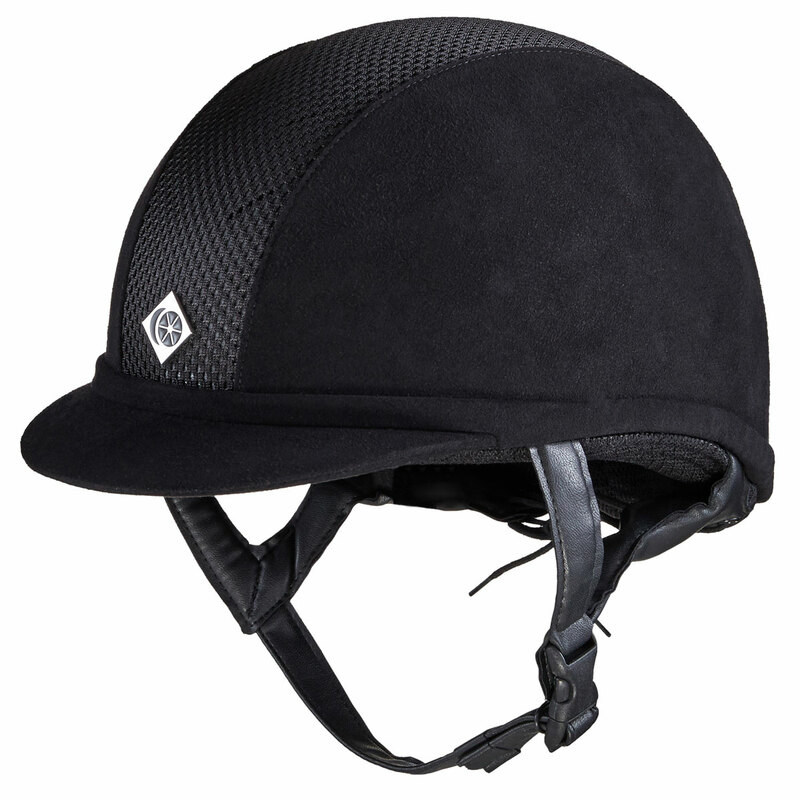 This helmet features a low profile that combines fashionable microfiber suede side panels, with a mesh centre to maximize air flow through the 12 ventilation apertures, achieving the perfect combination of cool equestrian chic. 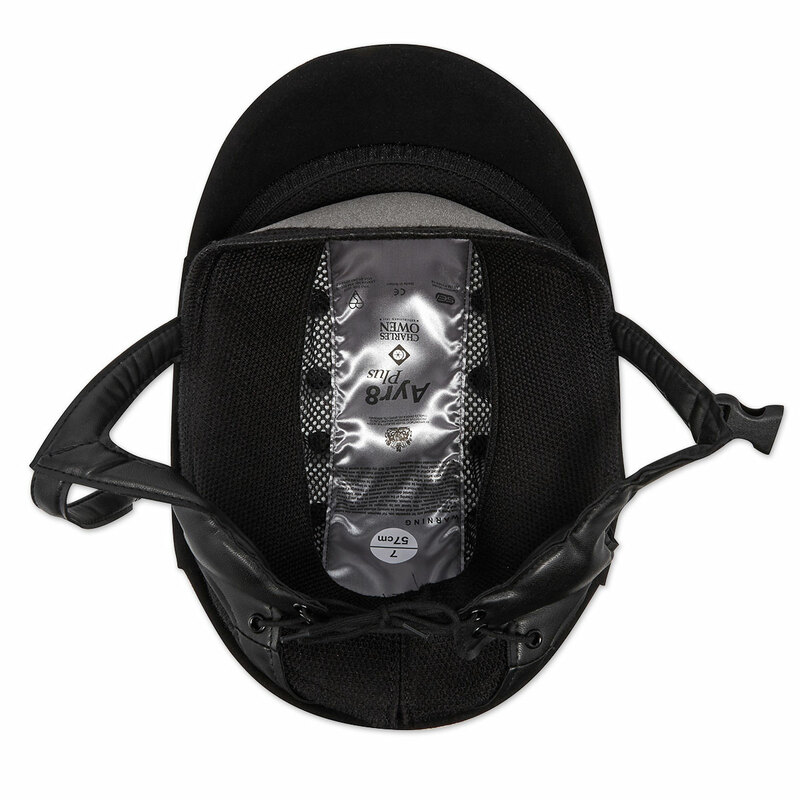 Developed for the equestrian athlete the slimline helmet uses advanced modern materials and incorporates the latest in thermoregulation for helmets to keep your head cool. The leather harness incorporates the revolutionary Grpx™ technology. The harness is coordinated to the specific colors within the range to give that complete finished look. The brim is gently rounded to flatter the face and a press stamped metallic logo is positioned centrally above the peak. Another embroidered logo features on the back of the helmet to replace the traditional ribbon. 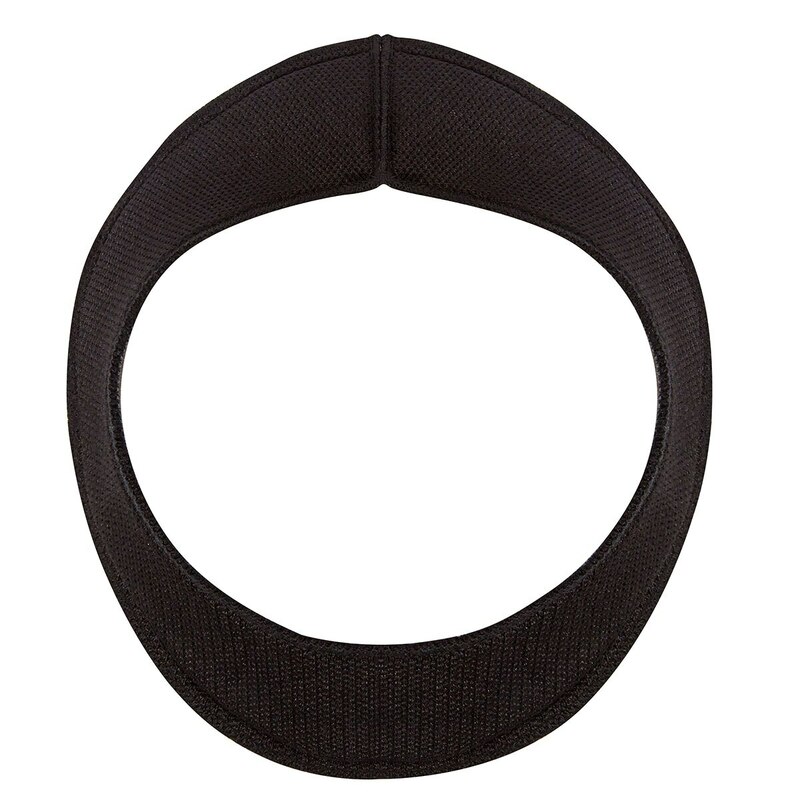 The super soft headband is embedded with high tech silver ions, providing built-in antimicrobial protection, helping to keep the helmet hygienic and free from smells.